How Much Should I Owe on My House Compared to My Investments? Mortgage debt has unique advantages. 3. Should I Worry About Paying Off My House With No Heirs? Money that you owe against your house can be helpful in building wealth as opposed to harmful to your overall financial standing. With this in mind, you might not want to reduce what you owe on your house. You could even decide to acquire more debt on your house to allow you to have more money to put into other investments. There is a practical cap on how much you can owe relative to your other investments and your income. Usually, you wouldn't want to have a loan with a payment that you can't comfortably afford. While the amount that's comfortable for you is a personal decision, lenders provide one rule of thumb. 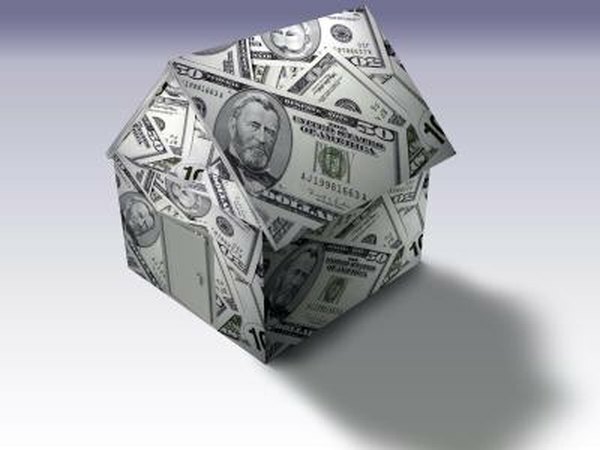 Typically, they don't like to see a mortgage payment that is more than 28 or 29 percent of gross monthly income. If you have $15,000 coming in every month, this works out to a maximum payment between $4,200 and $4,350. Mortgage debt has two major cost advantages. For many borrowers, mortgages are a relatively inexpensive and favorable way to borrow money. Getting access to someone else's money for a 30-year period at a fixed interest rate that is usually lower than most other types of loans is an attractive package. In addition, since mortgage interest is usually tax deductible, the effective interest rate is even lower. A 5 percent mortgage rate is really only 3.25 percent for someone who pays taxes in a combined 35 percent federal and state bracket. Mortgage debt isn't just inexpensive -- it's also stable. Having a 30-year fixed mortgage loan means that you don't have to worry about finding a new loan or having your principal and interest payment change for three decades. Compared with other types of debt that have shorter lives or that the lender can require you to repay at any time at its whim, this is a significant advantage. This is one of the reasons that some investors use a mortgage to buy stock instead of taking out a margin loan from a broker. Some sophisticated investors choose to borrow as much as they can on their homes to give them funds for investment. If you can turn around and reinvest that mortgage money at a higher rate of return, you're essentially getting free money, since you're earning it with your home lender's capital. For instance, borrowing money against your home at 5 percent to buy a conservative portfolio of investments that yields 6.5 percent a year would net a 1.5 percent return every year on someone else's money, even before taking any tax savings into account. This strategy carries some risk, though. While it may make sense on paper to carry as much mortgage debt as possible, some investors choose to become debt-free or even to divert money from investment accounts to pay off the mortgage. This can make sense if you have a conservative portfolio that has a lower yield than what your mortgage costs you. It can also be a good strategy if you value the peace of mind of not having the monthly expense more highly than you value investment returns. In that instance, a very small mortgage or no mortgage might be the best option for you. MarketWatch: Should You Pay Off Your Mortgage? Do You Need to Pay Off All Credit Cards Before Applying for a Mortgage?